South on the A337, past the Hobbler Inn, turn left and follow signs for Spinners Garden then turn right at Southlands School entrance. Long concrete drive with pink flags. Glass & Silver Jewellery in unique designs. 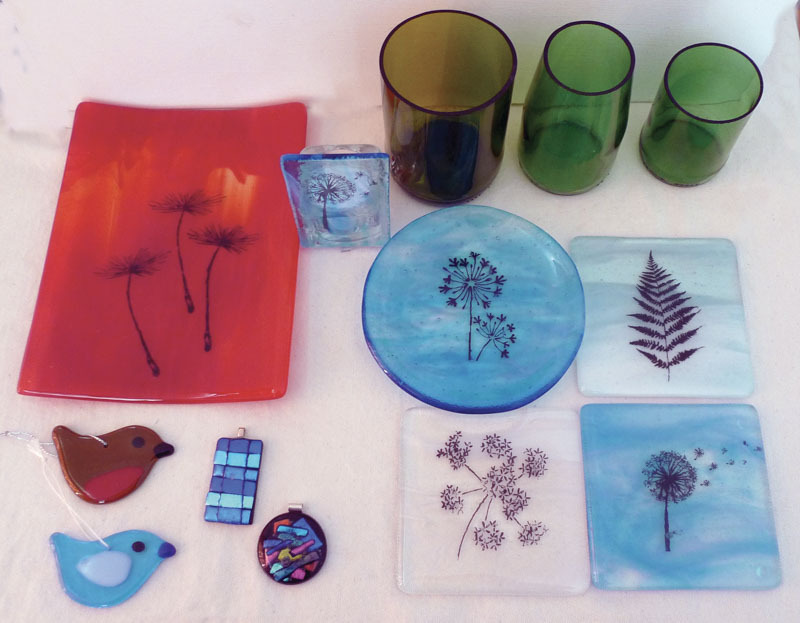 Fused glass plates, dishes, coasters, vases, Christmas decorations, glasses & candle holders. Sailing trophies & glass sails on wooden boats. Commissions welcome.